Happy almost May!!! Wow this year is just flying by right? 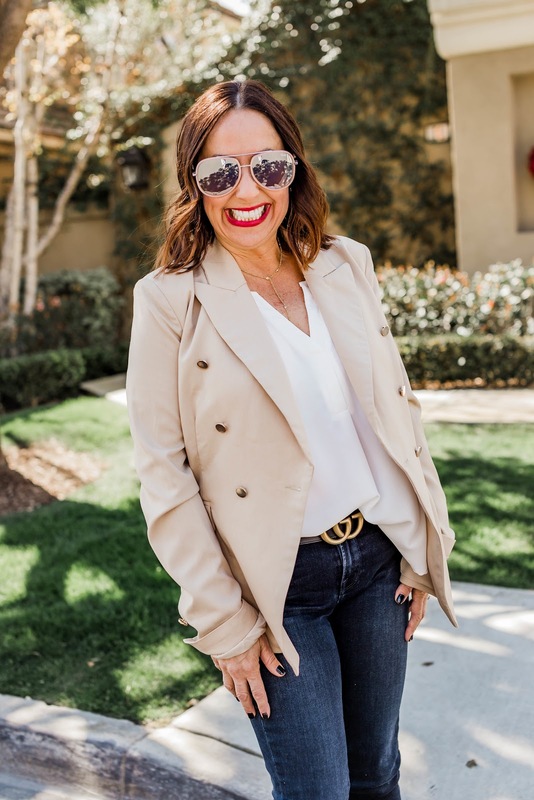 Here is my Instagram round up for all of my looks in April. You can shop these looks by clicking on the links below. Happy May!!!! This is one of my favorite posts because it is so dear to me heart!! Read all about Love for Lola and these amazing leggings for a wonderful cause. Love for Lola Leggings. It's all about being Rocker Chic here. I love a great duster and these amazing Levi's!!! It's all about being a Valley Girl for me. 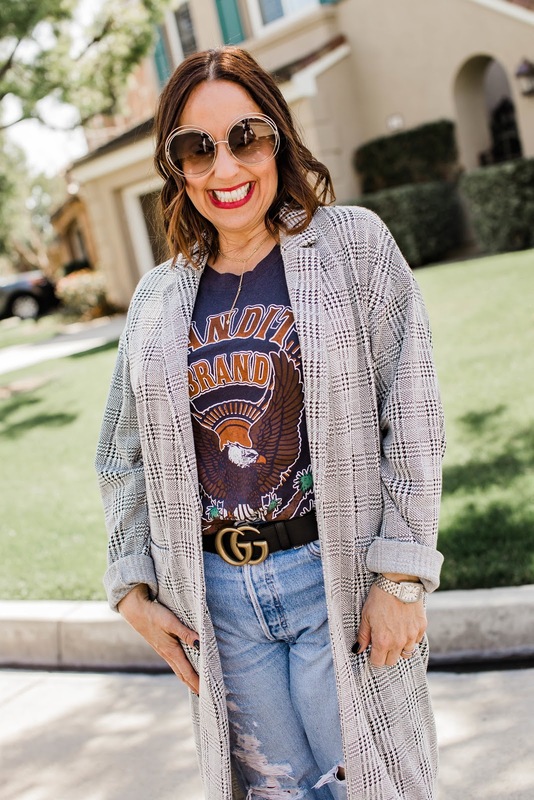 This is such a fun post and how cute is this jacket and tee? In this post about happiness, I get up close and personal. What are the things in life that make you happiest? 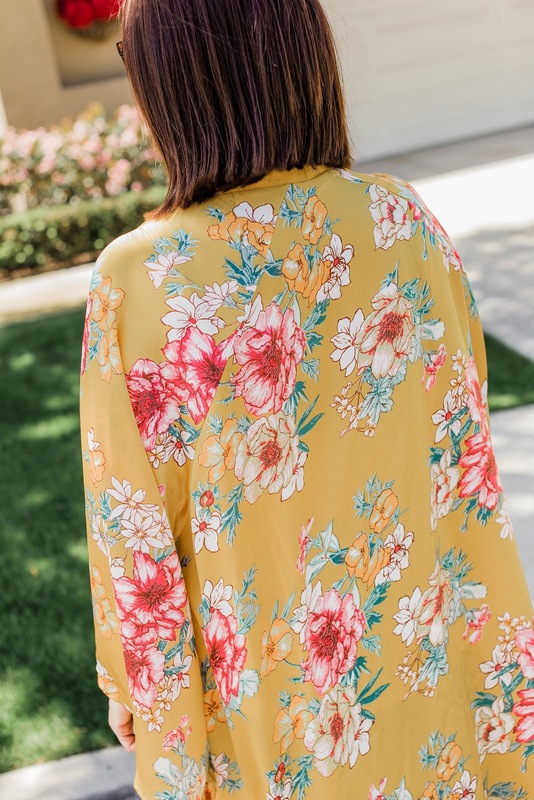 This could be my favorite Spring Dress!!! Love it!!! I love sharing with you different ways to style one item. 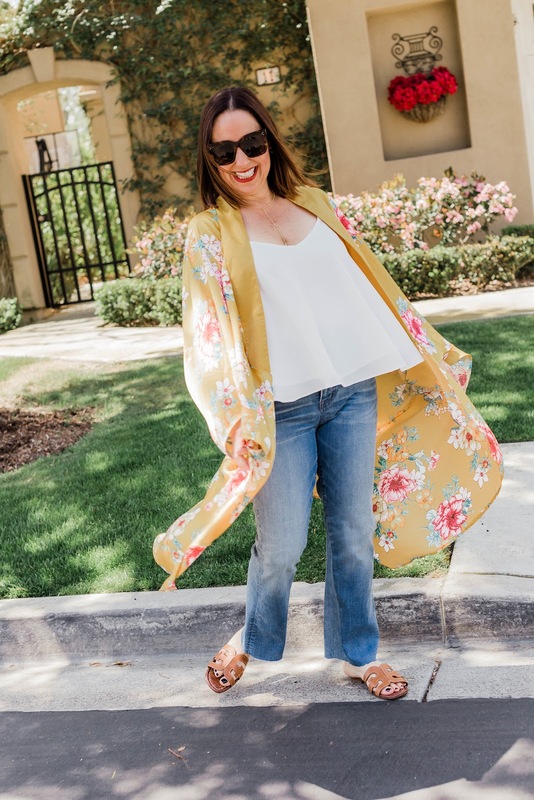 Here are different ways to style a kimono. This post is all about My Happy Place. And I'm so into blazers lately. They are so fun and easy to style. I hope you had a fabulous April and now we are on to May!!! Thanks to Gabi Wells for photos and Happy Reading!!!! Happy hump day friends! This week has been tough. My hubby went out of town for work, and my little Zachary has been sick all week. Ugh. The worst cough ever. I hate to see him uncomfortable. But he is on antibiotics and hopefully will be better soon. One thing that gets me through tough weeks like this one is my having my blog and my followers like you. I absolutely find it to be my happy place. When I was working as a speech language pathologist with children with disabilities, it was so heavy, and sometimes depressing. So now in life, as I dive into this world of blogging I find it so refreshing and uplifting. I put my all into every post and I wanted to thank you for following along. And for today's post, I kept it simple. Just a great camel blazer, some cute jeans and these booties that I'm obsessed with. It is such a classic look and I know you all have something in your closet to make this look work for you too. I would love to hear what you consider your happy place. Thanks to Gabi Wells for photos. You can shop this look by clicking on the links above. Happy Reading!!! These days I'm all about p[icking a great piece and wearing it many different ways. 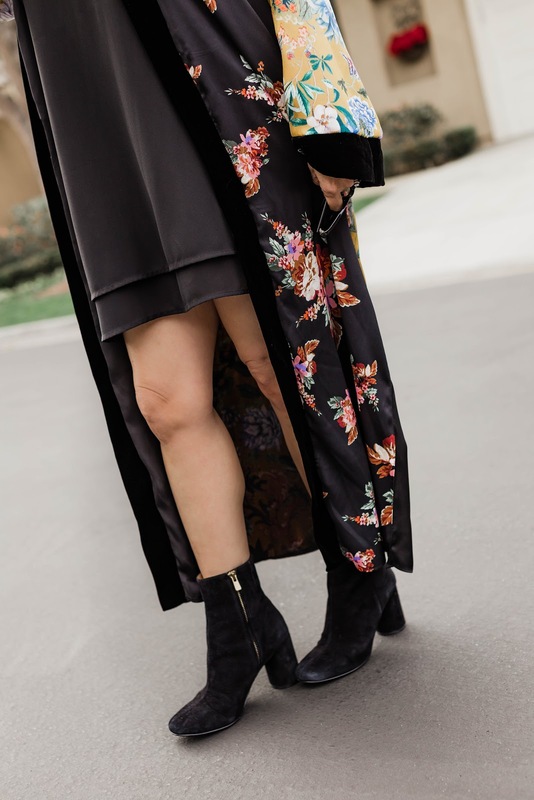 One of my favorite pieces lately has been the kimono. 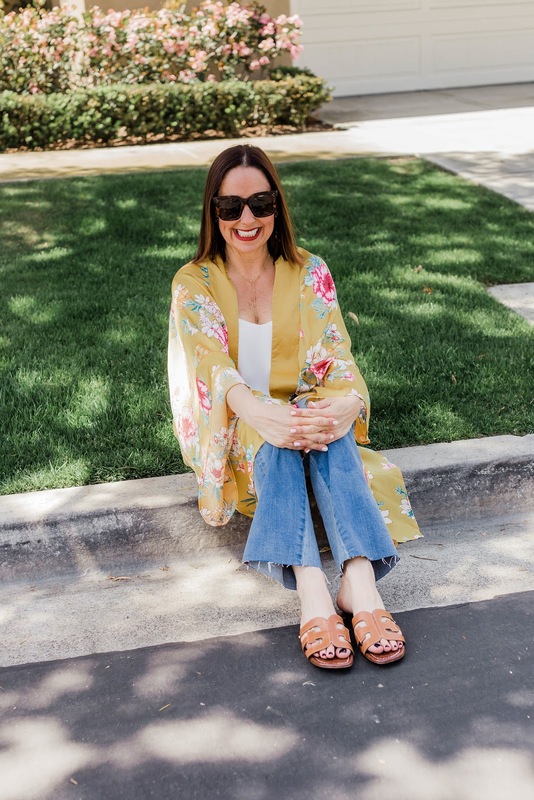 Don't you just love a good kimono? When I find one I pick it up because there are so many different ways to wear it. It doesn't' matter how old you are or how tall you are, every fashion girl can pull it off. 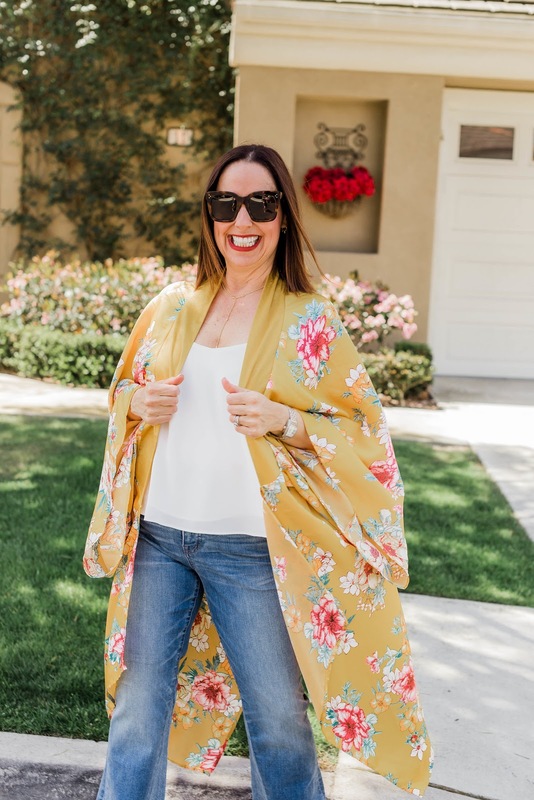 I typically pair a kimono with some skinny jeans and a t-shirt. But for the post I wanted to try something different. I paired it over this cute little black dress. Lucy Love has the best little dresses that re perfect for layering. I added some booties and this changed my look completely. 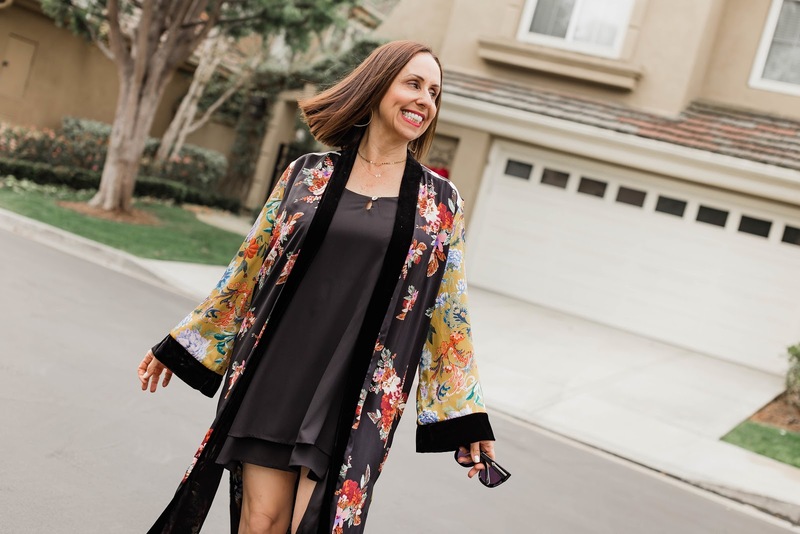 I like investing in pieces that I can wear so many different ways and the kimono is that perfect piece. 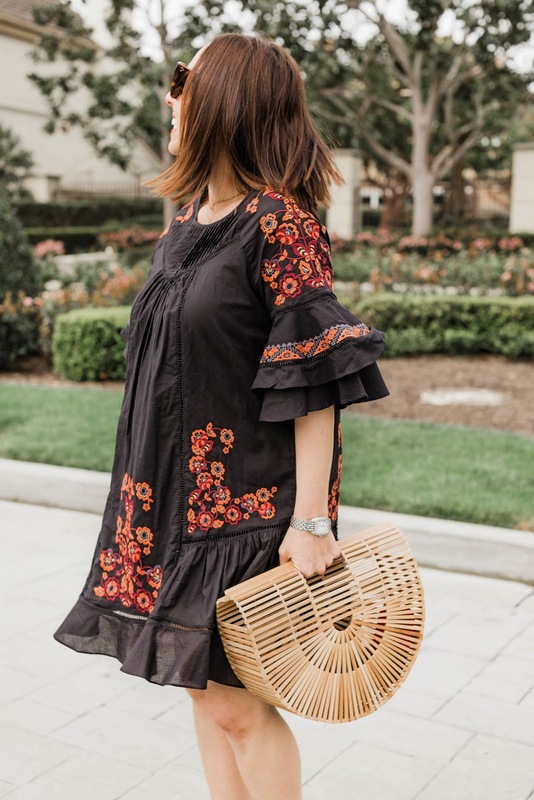 What are your favorite pieces to style differently? Thanks to Gabi Wells for photos. You can click on the links above to shop this look. Happy Reading!!!! This week for Friday Favorites, I have some great makeup and hair care to share!!! I love these lip goodies from Kristofer Buckle. These are such great long wearing lipsticks. And I love these colors. Perfect for spring. I have the hardest time with dry shampoo. My hair is so fine that some of the different products out there are too strong and harsh. I love this Organic Apple Cider Vinegar dry shampoo from dpHue. Love love it!! I love the texture and it smells wonderful. And I'm loving these hair products from Orlando Pita. 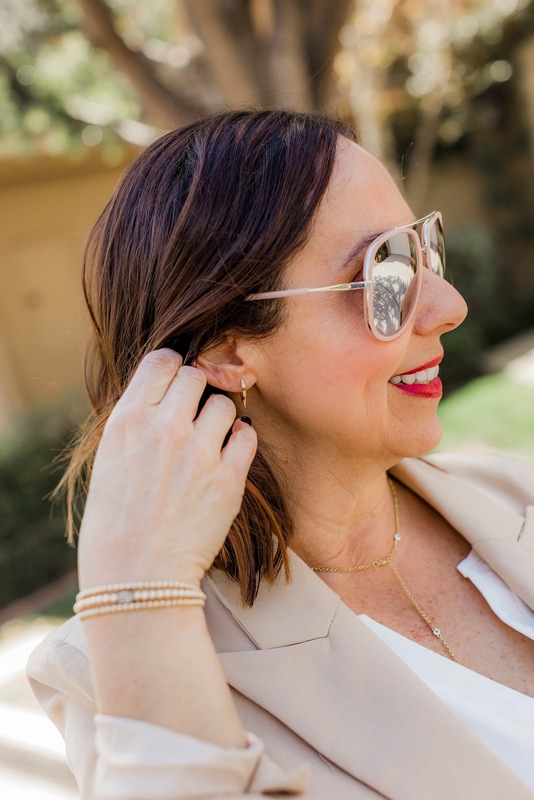 The Gloss Up Weightless Polishing Cream makes my hair so shiny, and the Time Capsule Fortifying Treatment Mask is perfect for my hair after a long week running around with my kids. I'm also loving these products from Provision. The face oil is so fabulous and smells amazing. And these days my lips have been so dry and this lip balm has literally saved me!!!! I hope you check out these fabulous beauty lines. I know you will love them as much as I do. You can shop these products by clicking on the links above. Happy Reading!!!! I am so excited that it is the finally dress weather in the OC!!!! 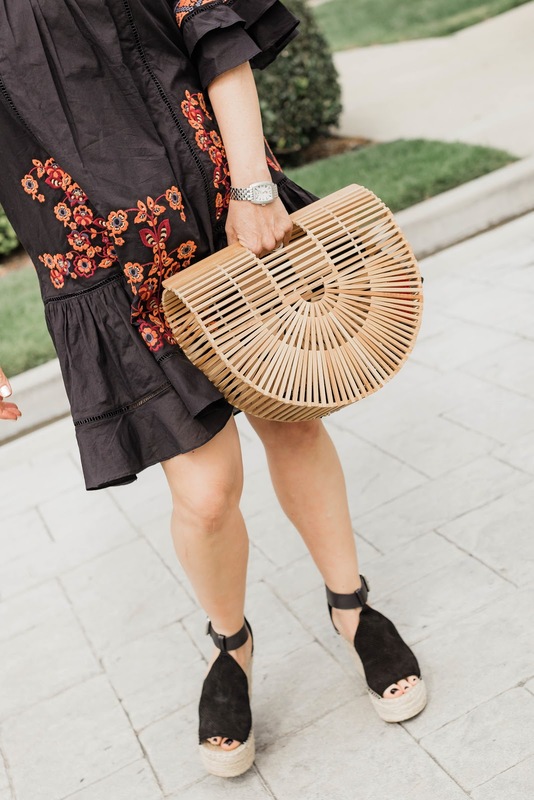 I love dresses all year long, but they are my go to especially on a warm spring day!!! I feel like as a busy mom a dress is the perfect throw on for me to get through my days. My fellow moms out there, don't you feel like some days are so hard. I am a taxi driver, chef, housecleaner, professional errand runner, therapist and the list goes on and on. Sometimes I just want to stay in bed all day because my to do list can be so overwhelming. But there is something about the spring air and taking the time to get myself ready, whether that is by putting on a cute outfit or makeup, or whatever it is that day that helps me tackle my day. Do you guys ever feel this way? I picked up this cute dress from Vici. I love the fit and print. I paired it with my go to Marc Fisher wedges and my favorite spring/summer arc bag. This is the perfect look for a busy lady like me. 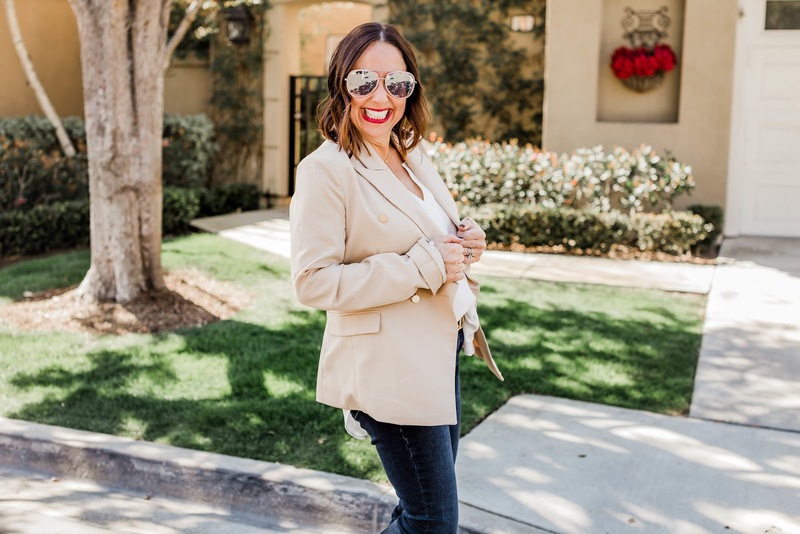 What is your favorite everyday look on your busy days? Thanks to Gabi Wells for photos. You can shop this look by clicking on the links above. Happy Reading!! !